The Securities and Exchange Commission ordered it shut down its gold dealership operations. Everything has unravelled since that day in September 2018. The customers spanning respected professionals have been bashing government and state institutions for tolerating the business for more than four years since it began operations. They want their monies back. But the CEO Nana Appiah Mensah (NAM1), a high-flying socialite, is no longer in the country despite having bail conditions that forbids travels. He is in Dubai where he is standing trial for a business deal gone bad, government said. With the man nowhere to be found, government is having to bare the brunt of the clients anger. This is the third demonstration in three months. January 8, 2019 in Ashanti regional capital Kumasi ahead of the President’s visit to the region. 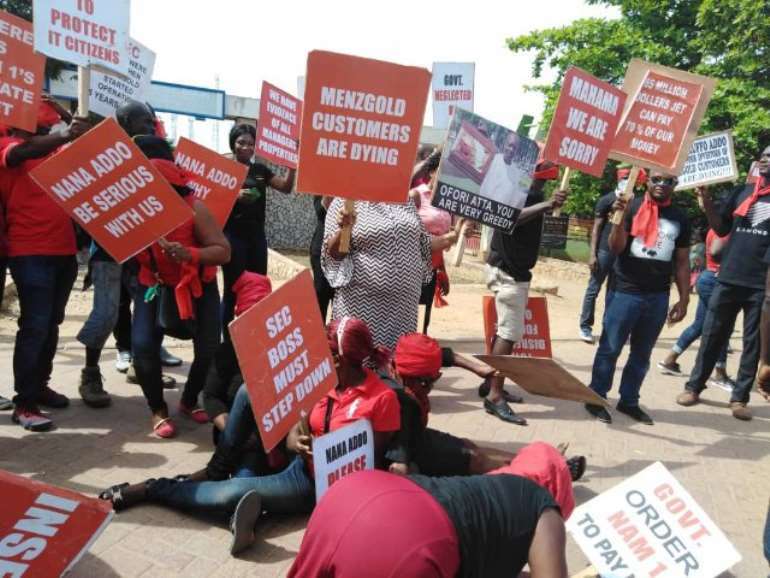 In Febraury 19, 2019, in Western regional town, Tarkwa where small-scale miners, illegal miners, laid-off miners put a fortune in the company. 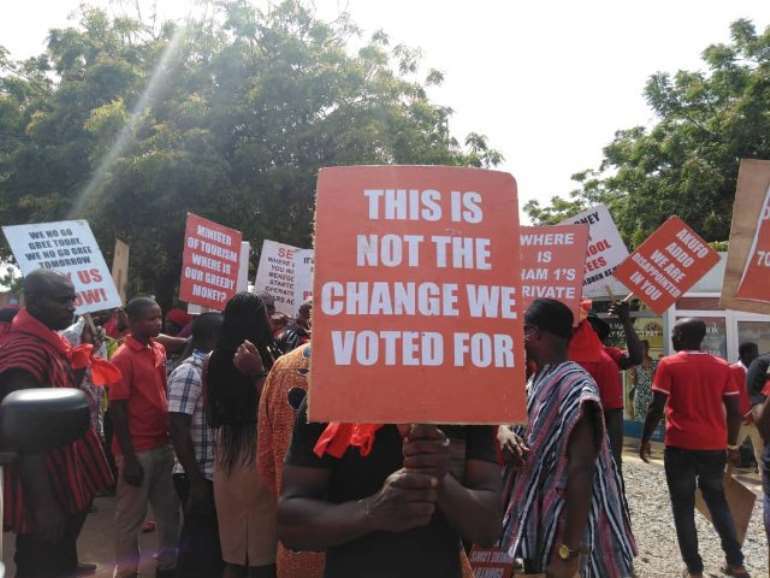 Then in April, 2, 2019, the customers have started another demonstration in Accra. 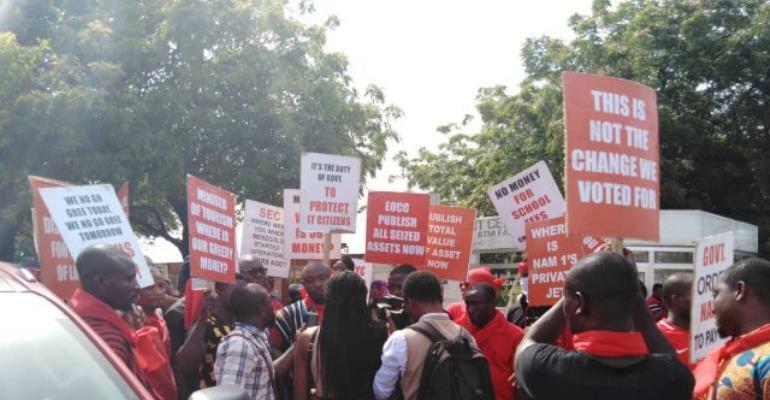 This time massing up at the Economic and Organised Crime Office which was supposed to keep an eye on NAM1 but failed and the Securities and Exchange Commissions office which was supposed to regulate it but is believed to have slept on the job.